What killed off my Madoka Magica fandom? NB: This post contains spoilers for the Rebellion movie. 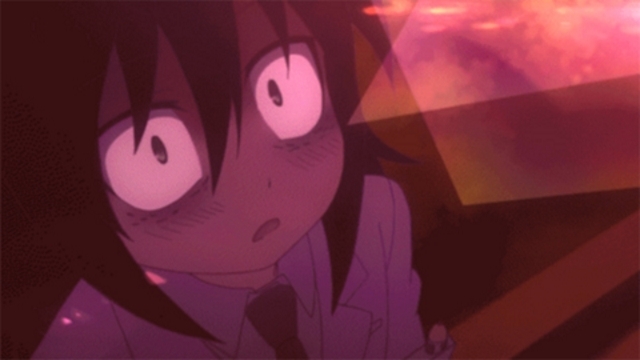 Tomoko Kuroki and social anxiety disorder. Cringe-worthy, insulting, controversial, hilarious, dumb…we all have a lot of things to say about Watamote. But I can understand all of them because all of them just seemed to happen in the show. We all winced when her luck ran out (which it did…a lot), with ants crawling up her legs, being neglected by an old friend, finding a PT job she hoped for turning out to be in a factory and not a maid cafe. We all felt insulted at how she was willing to insult and scream at everyone she could see, because they were not what she thought they were going to be like in her ideal school life. And the show (and the manga) became extremely controversial on how it dealt with Social Anxiety Disorder and portrayed it as a negative and something we should poke fun at. When watching it, I laughed, but felt rotten at the same time.